54-year-old Sarawan Tulsi Ram Wadankar returns home in the evening. His wife pours cow dung into their biogas plant which meets their cooking gas requirements. A gram panchayat meeting in progress. 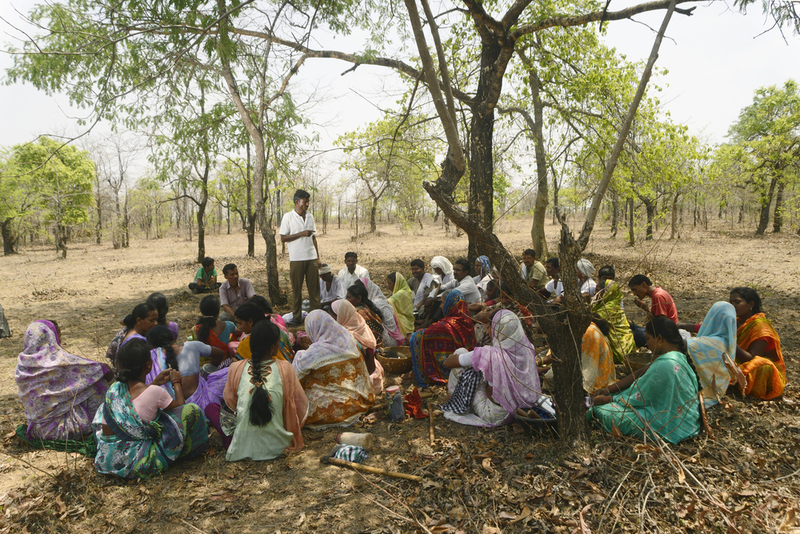 Villagers plan their day's action and roles in forest management including cleaning the area, patrolling, marking the trees and enlisting them in the panchayat records roster. 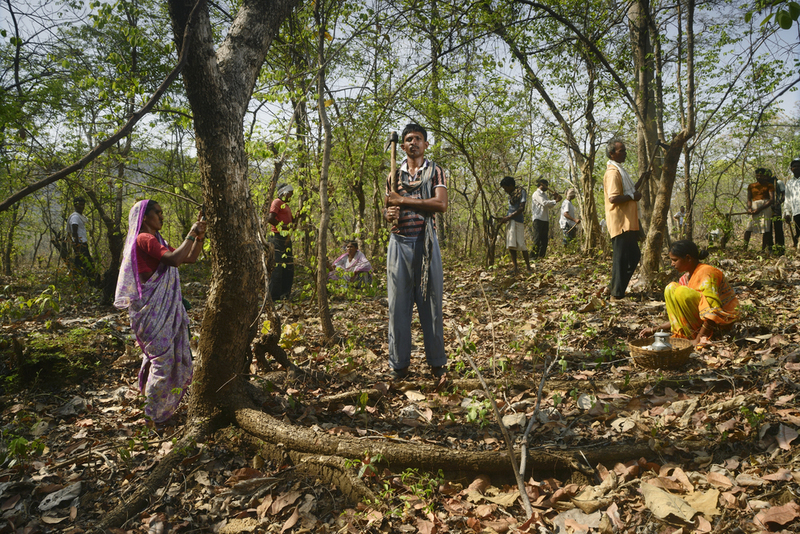 54-year-old Sarawan Tulsi Ram Wadankar (center) with villagers in the forest. 54-year-old Sarawan Tulsi Ram Wadankar (center) with his family members. A village patrol unit patrols the forest. A village patrol unit prepares to patrol the forest. They had nabbed a group of poachers and handed them over to the police. India’s biodiversity sustains the livelihood of millions. Many of the poorest households derive income, food, shelter and much more from the country’s wealth of biodiversity. Rapid degradation of the ecosystem and biodiversity is challenging this relationship. Across India, people, communities, governments and conservation agencies are demonstrating that the intrinsic value of biodiversity can be conserved and indeed harnessed, to sustain livelihoods and secure the futures of local communities. The Ministry of Environment and Forests, Government of India and UNDP had constituted ‘The India Biodiversity Awards’ to recognize outstanding models of biodiversity governance, including community-run institutions, local self-governance bodies etc. recognizing the central role played by communities to conserve biodiversity. — Dilip Navghare, a local NGO worker. Gram Sabha Narotichak in Gadchiroli district, Maharashtra, was recognized as one of the outstanding models of decentralized governance in 2014. This photo essay offers a glimpse of the local community’s relationship with their forest, and the sense of pride they’ve derived. The lush, green forest cover which was present a stone’s throw away from the Narotichak village four decades ago was long subjected to the intense pressures of economic imperatives. However, this situation started to change when a Joint Forest Management Committee was formed in 2005 and Community Forest Rights (CFR) was granted. The villagers enforced stringent grazing rules to protect the forest and regulate its produce. Also, the forest department has helped the villagers to set up individual biogas plants to reduce fuel wood demand. Supported by an NGO, Narotichak villagers started a variety of initiatives in 2006 to protect the forest around their village. Through their continuous struggle, they kept 108 hectares of land free from encroachment. The Tendu leaves of Narotichak forest became a resource, fetching Rs 3500 for every standard bag of 70,000 leaves. Appreciating their conservation efforts, the forest department supported the villagers in availing individual biogas plants to reduce fuel wood demand. 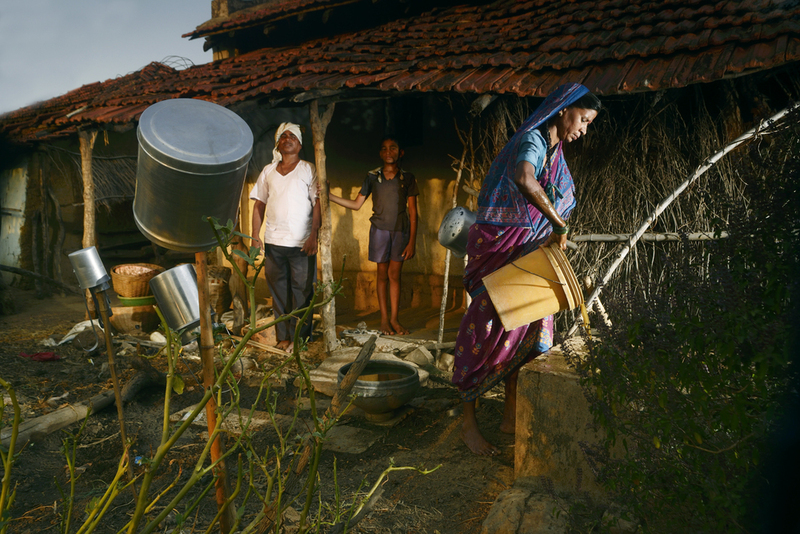 54-year-old Sarawan Tulsi Ram lives with his wife and two sons. Like any other villager he was struggling to meet ends until they received CFR. He found employment working in different aspects of the forest from building concrete bird water baths, constructing bunds to aid ground water retention to patrolling the forest. 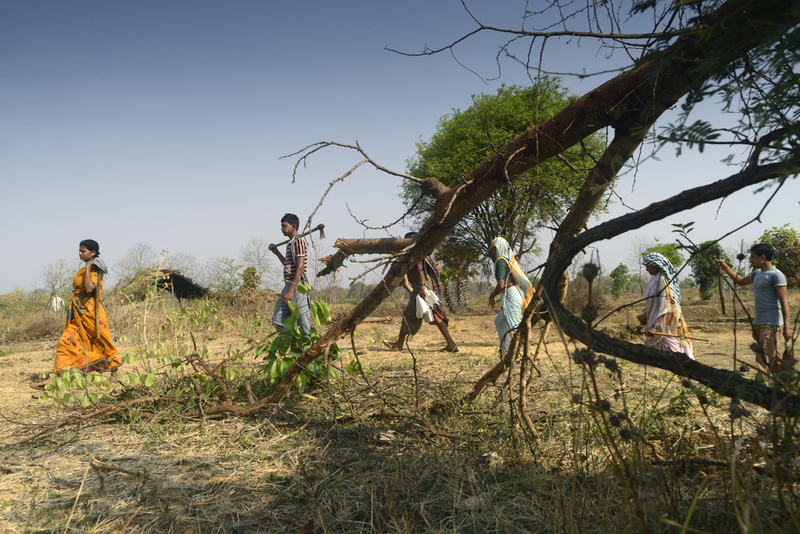 The designated grazing land in the forest also replenished the fodder stock for his buffaloes. With his income from working in forest protection, he bought a buffalo, sold buffalo milk and milk byproducts. Adding up the little savings, he later took a bank loan and bought two more buffaloes, gradually expanding his business. Several years later, he has six buffaloes and runs a fairly prosperous livelihood. The forest, and his buffaloes helped him buy a motorcycle and construct a concrete house. "If the forest would not have been here, we would all have died," says Sarawan. "The forest was earlier under the control of the forest department. Now this is our forest, and we can use its resources freely to improve our life. Because of this forest, I can feed my children, give them nutritious food, the village looks beautiful and the temperatures have scaled down. The money I've earned from working in the forest has been used for my children's future," he adds. 35-year-old Mamita Narendra Mashakhetri is the Vice-President of Naroti Chak Gram Sabha, and an active proponent for the conservation of the forests. She often patrols the forest in groups watching out for poachers. For her patrolling duty and other work inside the forest as scheduled by the Joint Forest Management Committee (JFM), she earns a daily wage under MNREGA or other state run employment programmes. Once she and other members of the patrolling group nabbed a group of poachers and handed them over to the police. Watching her policing ability and courage, she was appointed as the Village Police Guard at a monthly salary of Rs 3000. Mamita also runs an adult education class in her village trying to educate her fellow villagers. 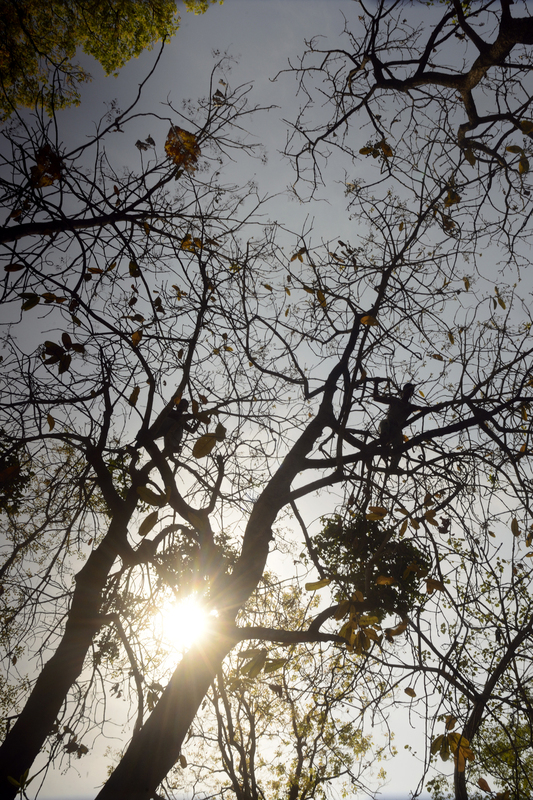 The forest has influenced the life of many people like that of Mamita, Sarawan and Khushal. 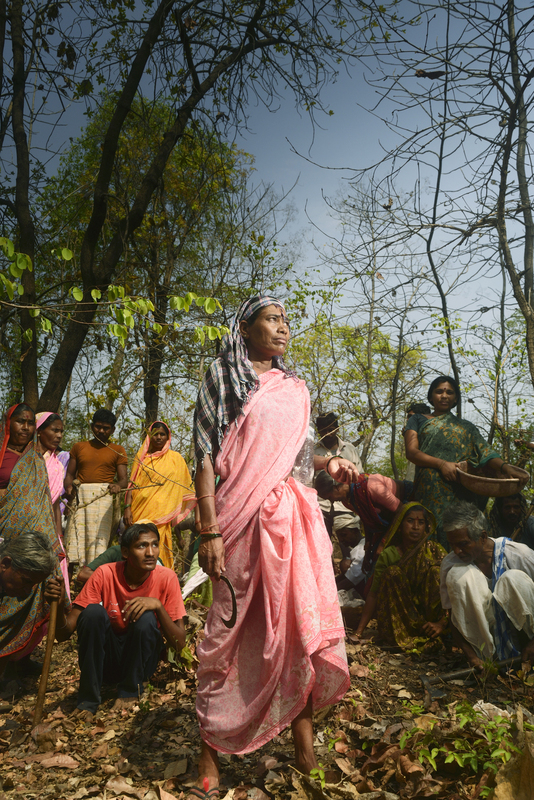 A heightened sense of belonging and ownership of the forest is evident among the villagers. 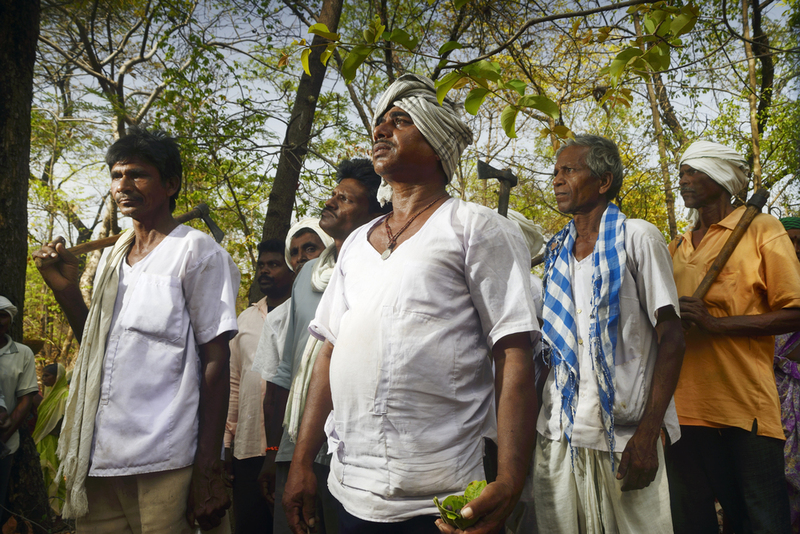 By making the forest a significant contributor to the their livelihood, the Gram Sabha has spurred the community to continue protecting their forest. The increased livelihood has further arrested seasonal distress migration.